"Visualization can spur your creation many levels deep." Here you will find the novels and short stories that Calleey currently has been working on. The featured work changes periodically, so be sure to check back. Calleey began writing her novels with a book for children and young adults, Cooggles. 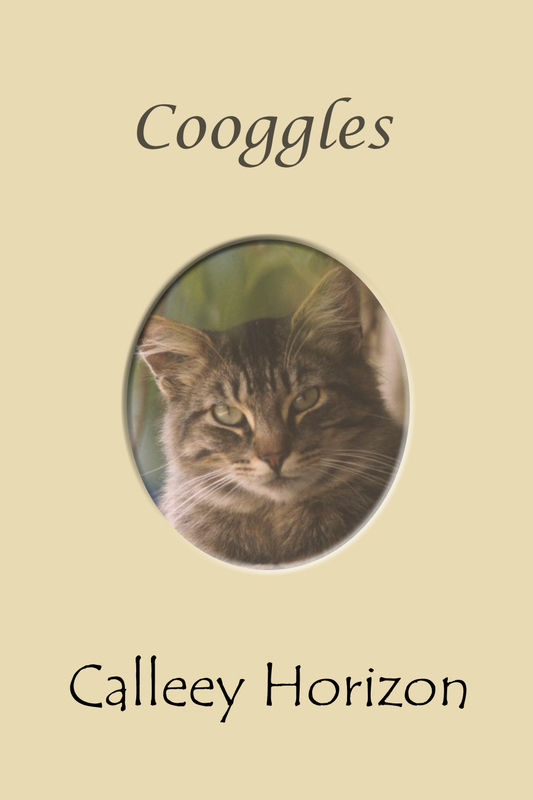 Cooggles is an inspiring story about a family, as seen through the eyes of their beloved cat. She experiences and relates their many adventures and escapades with her unique perspective, and narrates the excitement, love and growth that they all share. From an early age, Cooggles discovers that her special and secret feline psychic and telepathic gifts allow her to view the world in ways that no one else can. She sees the way life really is, in all its beauty and pain, and through her, we too, come to deeper understandings of ourselves and how we fit into the multi-dimensional universe we live in. The lessons that a small tabby cat learns show the reader that hope - and love, truly are common to every living being, and that the gifts of friendship and love are precious ones to treasure forever. Cooggles shares with the reader the magical voyage called life where all obstacles can be surmounted, if we only look deeper within ourselves. Cooggles is a must-read for anyone who desires some answers to their own complex journey. Profound messages are woven into every aspect of this simple tale. Though the story is full of moments of drama, humor and whimsy, the message is deep and fulfilling. Cooggles is her first novel for young adults and her first self-published work of fiction in paperback. It is a story that is bound to capture a wide audience, from young adults to adults. Calleey says, "The writing of Cooggles has been a truly enjoyable journey for me. Seeing life through the eyes of Cooggles has also widened my own individual perspectives. She is an enlightened feline in more than one way and through her, we can all learn something." Cooggles now even has her own website. You and your children can visit her there very soon for more information. It's a website that every child will enjoy.